On June 12, 2014, Islamic State of Iraq and al-Sham (ISIS) spokesman Abu Muhammad al-Adnani claimed that ISIS will target Samarra, Baghdad, Karbala, and Najaf. These cities and their Shi’a shrines will not fall the way that Mosul did. Tucked behind layers of Iraqi Security Forces, Shi’a militias, and Iranian Quds Force operatives, these locations represent the hardest military targets in Iraq. It is critical to forecast the ways in which ISIS might attempt to target them. Samarra lays half-way between Baghdad and Tikrit. Ancient Samarra was the second capital of the Abbasid caliphate behind Baghdad. Samarra is also the site of the Shi’a al-Askari shrine, which was destroyed in 2006 by al-Qaeda in Iraq, ISIS’s predecessor, igniting a sectarian civil war. Preventing an assault upon the al-Askari mosque is a priority for the Iraqi government, Iran, and Shi’a militias. On June 12, 2014, Iraqi Prime Minister Nouri al-Maliki stated that 1,000 people from the popular committees would go to Samarra that evening to secure the Shi’a shrines. Iran has reportedly deployed two battalions north of Samarra to fight ISIS in Tikrit. ISIS continues to seize opportunities to touch off a new civil war by provoking a Shi’a response to their attacks; however, targeting the shrine in Samarra may not be ISIS’ primary objective. 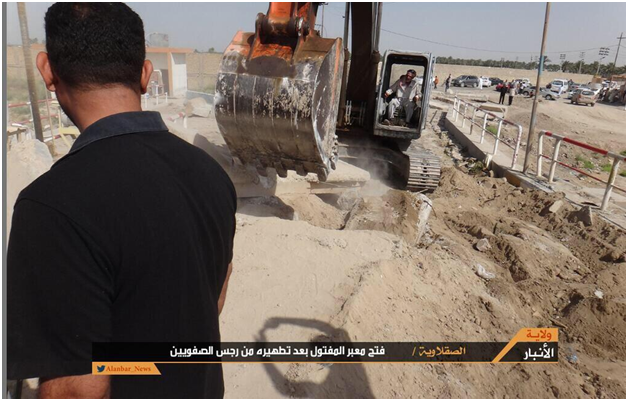 ISIS may execute a tactical deception indicating their intent to destroy the al-Askari mosque in order to concentrate the Iraqi Security Forces (ISF) in Samarra. ISIS may then open a corridor for advance to its main objective, which is likely the seat of Iraqi government in Baghdad. ISIS has also been testing ISF response in Samarra systematically over the last six months. ISIS may seek to isolate ISF forces in Samarra from sister units in Baghdad, effectively neutralizing their ability support to the Baghdad fight. This would be their most dangerous military course of action from an operational view. However, it is also possible that ISIS will position itself to seize Samarra or to destroy the al-Askari mosque as a failsafe should other main offensives fail. Between Samarra and Baghdad lie two large military installations at Taji and Balad. Both of these bases may be operational objectives of ISIS. If ISIS moves to take Samarra, it will likely seek to overrun these bases first. Taji contains a large prison that ISIS attempted several times to breach during the 2012-2013 “Breaking the Walls” campaign. Taji also houses the primary depot for the Iraqi Army, and Balad contains a strategic airbase. These would be key military targets within the ISIS phased battle plan. As of June 11, 2014, ISIS reportedly moved in the vicinity of Balad. ISIS will seek to target the seat of Iraq’s government in the Green Zone. This may be a symbolic target rather than an operational target. Strategically, ISIS does not need to overrun the Green Zone. They only need to demonstrate the ability to maneuver ground forces into the city center, past the best that the ISF can muster, and touch the flagpole. If ISIS is able to assault the Green Zone with a ground attack force, they will realize the full defeat of the Iraqi Security Forces. The command and control of Shi’a militias, police forces, and Iraqi civilians in the wake of such an attack would overwhelm the Baghdad Operations Command. The core functions of the Iraqi state would break down. Baghdad would become a ward of the Iranian government to protect the Khadimiya shrine, and Baghdad would become a buffer zone for low-level attacks across an Iranian-ISIS demarcation line. In order to achieve this and eliminate competition to control the terrain north of Baghdad, ISIS would first need to designate a primary avenue of advance into downtown Baghdad. The points of entry for ISIS vehicle convoys from outside of Baghdad might approach from Abu Ghraib, Taji, Tarmiyah, Udhaim, or Jisr Diyala. To open these routes, ISIS would first need a plan to break the ISF controlled access to Baghdad from these supply routes. ISIS might do this by seizing control of these waypoint cities themselves, but this would be highly visible and put the ISF in Baghdad on alert. ISIS might instead execute a tactical deception in order to draw the ISF away from one or more of these access points. ISIS might also target the ISF at local control points directly and simply drive on to Baghdad afterwards. The degree to which ISIS has been testing the response of the ISF to ground assaults in each of these locations may indicate where ISIS has found and will exploit vulnerabilities. The most significant ground force movement witnessed recently was in Abu Ghraib, where ISIS reportedly held a military paradein early April 2014. A month later, the ISF evacuatedAbu Ghraib prison, a response indicator. 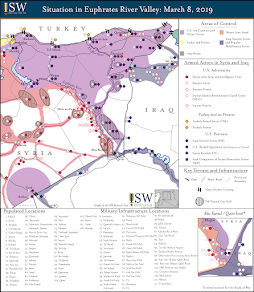 As of June 11, 2014, ISIS clashed with the ISF in Abu Ghraib and Zaidan. Clashes were also reported between the ISF and “gunmen” in the Baghdad neighborhood of Dora on June 12, 2014, potentially an early indicator of ISIS ground assault formation. ISIS may also activate sleeper cells to gather at internal rally points within Baghdad. Particularly during the Anbar campaign, new sleeper cells may have had the opportunity to emplace within the Baghdad city center from previously held positions in the Baghdad Belts. In this case, ISIS would need rally points that are proximate to existing infrastructure inside the city. ISIS would also likely leverage existing infrastructure associated with the longstanding VBIED operation to receive, gather, and deploy vehicle convoys. ISIS may also use VBIEDS to buffer the rallying stage of the assault force. Last week, ISIS executed two large VBIED waves, both entirely complete within one hour. This suggests that ISIS has also been testing its own ability to deliver VBIEDS at the same time across Baghdad. A blitzkrieg of VBIEDS might mask a force consolidating and staging inside Baghdad in order to advance upon the Green Zone. The battle for Baghdad would likely involve several attack vectors – a main assault force by ground, but also supporting efforts to shock and dismantle likely Iraqi Security Force response. The best way for the ISF to mitigate this outcome is to designate fixed defenses that must hold and rehearse battle drills, because ISIS will seek to overwhelm them. BLACK SWAN: ISIS may also execute a spectacular attack upon the Shi’a holy cities of Karbala & Najaf. This is not likely as a main effort, but ISIS may still view them as strategic targets that accelerate the demise of Iraq through civil war; alternatively, as a feint to support the Baghdad assault, ISIS may claim this intent in order to cause the ISF and Iranianreinforcements to concentrate south of Baghdad. Especially on Saturday, June 14, 2014, during religious processions commemorating Lailat al Bara’ah, security surrounding the shrines is likely at surge capacity. ISIS may penetrate quietly and execute a large explosive attack, like the al-Askari mosque bombing in 2007, but they may also consider whether proximate ground forces in northern Babel might be prepared to match the highest Iraqi Security Force coalition strength mounted in these southern protected areas. This is unlikely given reports of Iranian reinforcements. And yet it is important to remember that ISIS is fundamentally a religious state. Spectacular attacks against Karbala and Najaf should not be ignored as a possibility. 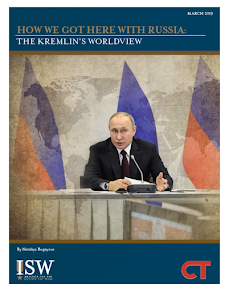 But this is less of a military campaign objective and more a question of how ISIS envisions interacting with neighboring states once it has established its intended emirate in full. June 12: ISIS spokesman Abu Mohammed al-Adnani stated that ISIS will not limit the fight to Mosul and northern Iraq. Adnani, in an audio recording, stated that the fight will be extended to Baghdad and Karbala in southern Iraq. The statement also reminded ISIS militants to not give up “a hand’s width of the ground” they’ve taken. Security was also increased in Baghdad: the Ministry of Science and Technology building in Baghdad was evacuated, a military parade of Iraqi Shi’a militias was held in the city, and extra checkpoints were added. Later in the day, reports emerged that there were clashesbetween “gunmen” and the Iraqi Security Forces in the Dora neighborhood south of Baghdad. The Baghdad airport was also reportedly attacked by five rockets. Significance: ISIS is setting preliminary military conditions for the battle for Baghdad that corroborate its intent. Shi’a militias have mobilized inside of Baghdad. June 12: ISIS and other armed groups in Fallujah reopenedthe three entrances of Maftul, in northern Fallujah, Falahat, west of Fallujah, and Amriyat south of Fallujah. ISIS took down barriers surrounding the Maftul entrance and published images to send the message that it is ‘freeing people’ from a blockade. ISIS is also now in control of the Yabani [Japanese] Bridge. The ISF had earlier withdrawn from these areas. Significance: The Bridge will be an important tactical objective in a broader movement to the southern Baghdad belt; ISIS now controls the whole area. June 12: The Secretary General of the Ministry of Peshmerga, Jabbar al-Yawar, announcedthat “Kirkuk is entirely under the control of Peshmerga,” and that there is no Iraqi army presence in the city. Later in the day, the media advisor to the Kurdistan Parliament, Tariq Jawhar, statedthat the next parliament meeting will focus on “Kurdish areas outside the administration of the Kurdistan Region.” Also, an explosive device targetedthe convoy of the Minister of Peshmerga, Jaafar Sheikh Mostafa, as he traveled southwest of Kirkuk. The Minister escaped unharmed. Mostafa later statedthat Peshmerga forces took control of Tal al-Ward, Kirkuk province from ISIS. The source added that the Tal al-Ward area contains the headquarters to the IA’s 47th brigade of the 12th division. Significance: Kirkuk is the big prize for the Kurdish regional government, but the Peshmerga are also conducting operations beyond the borders of Kirkuk city in order to recover the equipment that the Iraqi Army left behind, consolidate their gains. June 12: ISIS raisedtheir flag over Dur, the birthplace of Izzat al-Duri, Saddam Hussein’s Vice President. Witnesses said that the militants encouraged residents to go about their normal business, and have tried to recruit young people to ISIS. There are also reports that a former member of the Ba’ath party was appointedas governor by ISIS. The new reported governor is Ahmed Abdullah Rashid. Significance: This is an indication that ISIS has a strategy to co-opt former Ba’athists. June 12: Accordingto the Wall Street Journal, two battalions of Iran's elite Quds Force deployed to Iraq from Iran on June 11, and are now reportedly engaged alongside Iraqi forces in combat operations Tikrit, as well as providing security in Baghdad, Najaf, and Karbala. Iranian security sources indicate that Iran is considering sending larger contingents of troops to support the Iraqi government. Iran has also positioned an unknown number of troops along the Iran-Iraq border, and have announced they will shell any militants who come within 100 km of the border. 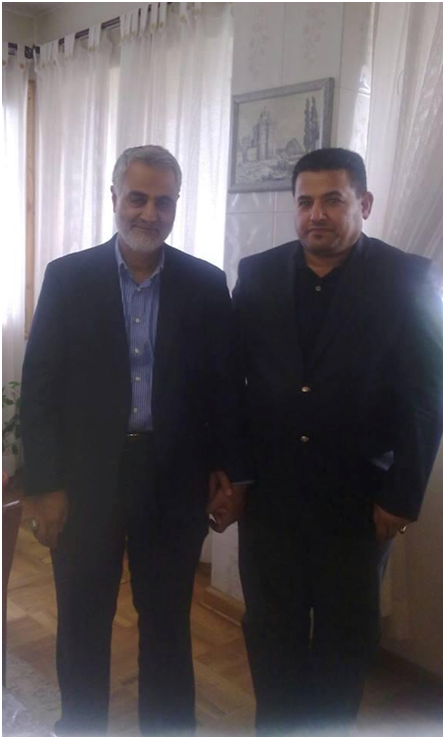 A member of the Iranian government-aligned Badr organization, CoR member Qassim al-Araji, reportedly posted a photo of himself along with the IRGC-QF commander Qassim Suleimani who had reportedly visited Baghdad recently.